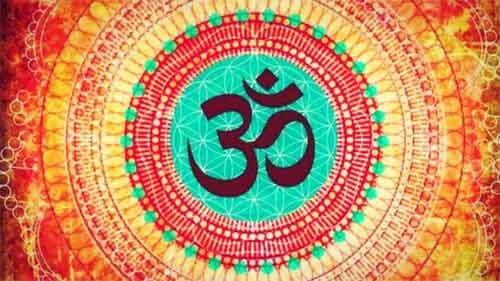 Om is the primordial sound in Hinduism and it is the first sound in the universe. Chanting Om daily has numerous health benefits. The chanting of Om creates positive vibration in different parts of the body and this is highly beneficial to the cells and internal organs. The ‘A’ syllable in Om creates positive vibration in the portion starting from stomach to below. The ‘U’ syllable creates reverberation in the chest, heart and liver regions. The ‘M’ sound results in positive signals in eyes, nose and brain. The chanting of Om has positive effect on the thyroid gland. It also helps in improvement of sound quality. Chanting Om 108 times helps in keeping out fear and anger. Those suffering from depression, irritation, fear of future and unwanted thoughts should regularly chant Om. It is believed that the chanting of Om and the resulting vibration in the body helps in ejecting out toxins from the body. Those having heart ailments have found relief after chanting Om. Chanting om is helpful in digestion. It is good for those who are having diseases associated with stomach. Those children having trouble in remembering things should chant ‘om’ daily morning during sunrise. It is known to improve intelligence and concentration. Chanting Om facing the rising sun is helpful in curing skin diseases. Om cannot replace doctors or medicine. But it can provide something that doctors and medicine cannot give and that is positivity. Om creates an environment which is beneficial to both physical and mental health. Om also opens the doors to self realization by clearing out the dust of ignorance.